For the moment we have in one of the farmhouses a small cheesefactory producing the cheese for 3 pizzerias with the milk of our own cows (75). Because of the river having all year water and therefore all year green grass the farm can have up to 200 head of cattle. 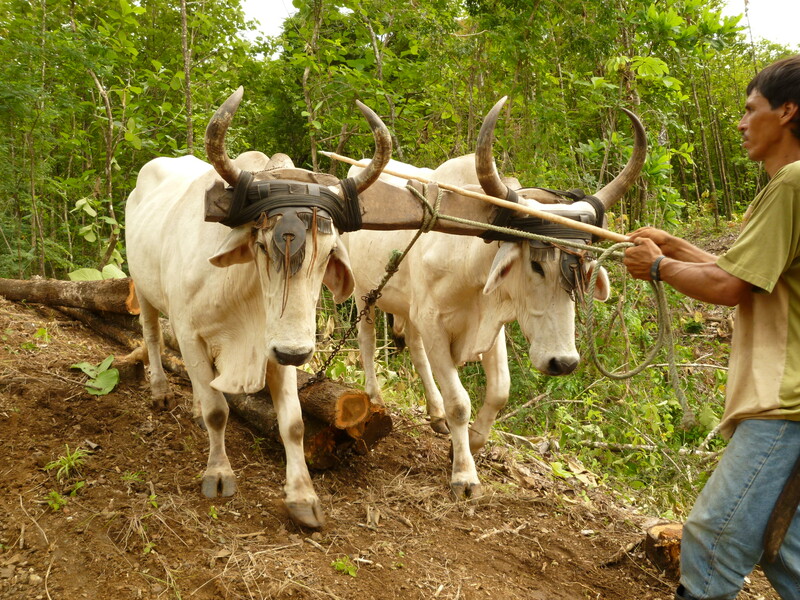 When harvesting teak, we use oxen for pulling the teak out of the hills, so preventing erosion by heavy machines.